First one was easy, second one was tough. So I'm not alone! Alright! I love both games but up against each other, I'd have to say Banjo brings me more insta-joy. 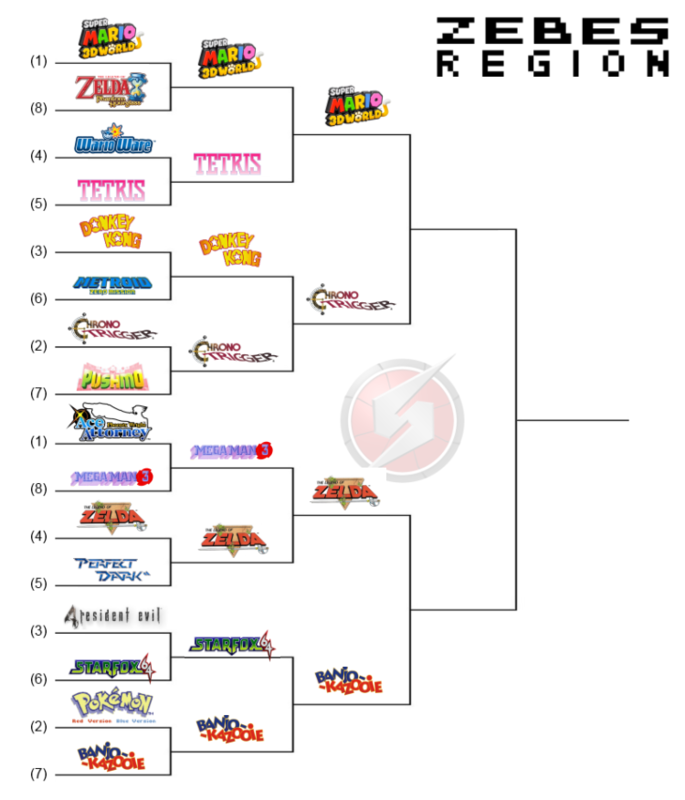 Zelda 1 is my pick to go all the way! I'm pretty sure it's my favorite of all the remaining games. Chrono Trigger is good yes, but 3D World is a bit more fun and creative. As for the other matchup, I've just completed my third playthrough of Banjo. I never intend to go back to the original LoZ, too arachaic by today's standards. In retrospect I think the original Zelda has some problems...but it's the original Zelda. Too classic. Hoo boy, getting down to the nitty gritty!